I wear a size 12 boot. 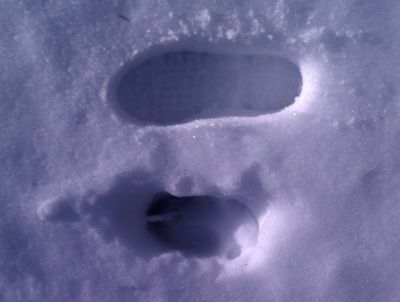 Hopefully that puts into perspective the moose foot print next to mine. This entry was posted on Saturday, February 18th, 2012 at 5:53 pm and is filed under Cocolalla. You can follow any responses to this entry through the RSS 2.0 feed. Both comments and pings are currently closed.